Bitcoin (BTC) futures are more than 1 year old. Ever since Bitcoin (BTC) futures was launched, there where rumors that Ethereum (ETH) futures will also get launched. There have been some recent developments once again on this front. What is holding back Ethereum (ETH) futures? 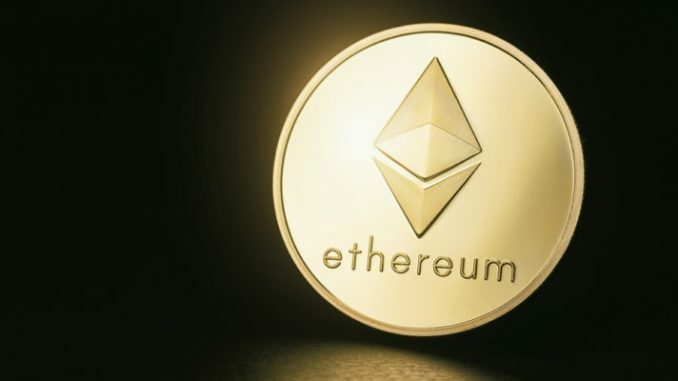 According to US commodities futures trading commission, they are exploring the Ether specific opportunities. The trading commission has complete jurisdiction over some of the crypto instruments. That is why, it is exploring the possibility of Ether specific opportunities, which indicates that Ether futures might be on the cards. Up until now, the developments are behind closed doors. The problem is that many backers of Ethereum (ETH) futures are skeptical about the entire project. The problem is that the physical delivery of Ethereum (ETH) is under the cloud. If that happens, Ethereum (ETH) futures will inevitably get launched. Up until then, there is very little probability of the launch of Ethereum (ETH) futures. If at all, this issue gets solved with some mechanism w the launch of Ethereum (ETH) futures can result in a higher value of Ether. When that happens, automatically Ethereum (ETH) might witness a rally. The buyers will come back to Ethereum (ETH). But we will see how long, does the rally actually last. If it is just an impulse, Ethereum (ETH) might move downwards once again. The skepticism revolving new Ether offerings is also extending to other cryptocurrency related instruments. The primary among them being Bitcoin ETFs. There have been various declined applications for Bitcoin (BTC) ETF’s. Many people think that Bitcoin ETF’s might not see the light of the day. The issues revolving Bitcoin (BTC) ETF’s are similar to other cryptocurrency related instruments. Till the time, these issues get solved, Ether futures and Bitcoin (BTC) ETF’s will not see the light of the day. The good news is, increased start-ups and authorities all over the world are opening up to these products. When that happens, surely have a will be found out to launch these crypto products. With new investment solutions, the interest in cryptocurrencies will be renewing once again. It will result in higher volumes and better liquidity in the cryptocurrency markets as a whole. It will pave the way for newer and newer investment instruments in addition to just a couple of futures offering. Bitcoin (BTC) News – Is Bitmain’s influence on Bitcoin (BTC) mining decreasing?